Some of that stems from the stigma that persists around mental illness and suicide, shutting off conversation or even acknowledgment that a suicide has occurred. Some may stem from the fear of encouraging "copycat" behavior. Clearly, silence hasn't worked. This week, news organizations around the state are collaborating to bring attention to the problem of suicide, to report on populations at highest risk and to share resources on how to prevent it. While the "Breaking the Silence" project won't necessarily provide answers, it aims to start a statewide effort to confront it. Using responsible reporting practices that examine, not sensationalize, suicide, these stories can provide the common understanding, motivation, tools and questions that can help the community mobilize against this public health threat. The data shows just how widespread a problem this is. Oregon's suicide rate is 14th highest in the country, and suicide is the second leading cause of death for those ages 10 to 34, according to the Oregon Health Authority. One fifth of those who kill themselves are veterans. More than half the deaths are caused by firearms. We also need to recognize that Oregon's youth are struggling. Nearly 9 percent of eighth-graders self-reported having tried to kill themselves one or more times in the previous year and nearly double that percentage considered it, according to Oregon Health Authority data. 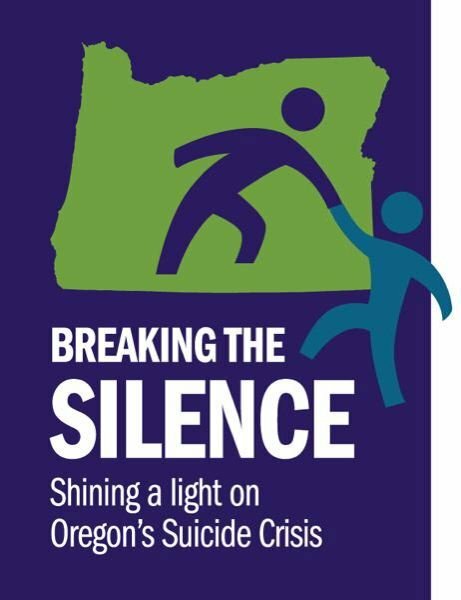 Editor's note: This editorial, written by the editorial board of The Oregonian, has been shared with all the news outlets participating in our collaborative, weeklong focus on the issue of suicide in Oregon. Read more at >www.breakingthesilenceor.com.